The CD117 antigen is the 145 kDa protooncogene c-kit. It belongs to the class III receptor tyrosine kinase family. This antigen is the receptor for the stem-cell factor (SCF) encoded by the steel locus (Steel Locus Factor "SLF"). 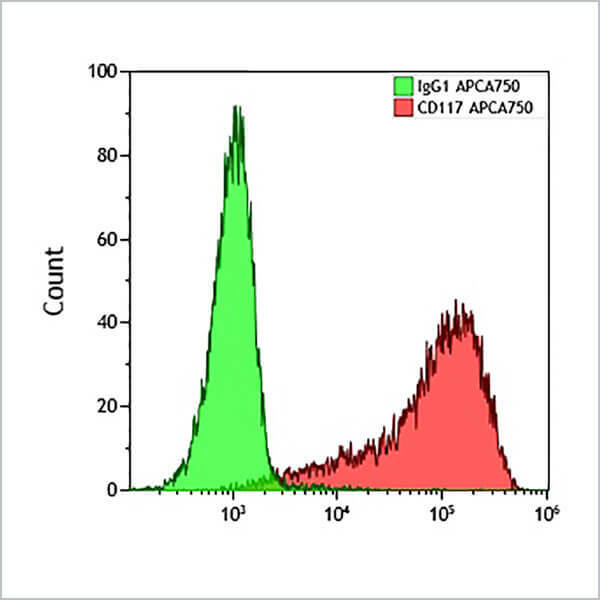 The CD117 antigen is expressed on very few normal bone marrow cells. The majority of CD117+ marrow cells co-express CD34. CD117 is also expressed on mast cells. *Alexa Fluor and Pacific Blue are registered trademarks of Molecular Probes, Inc.